Case of the Mondays? Think again. 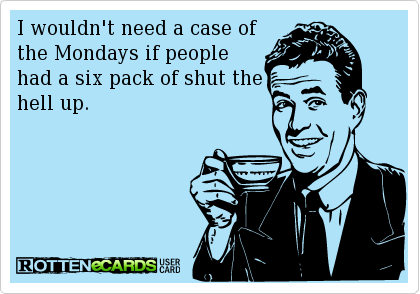 It’s easy to joke about getting a “case of the Mondays,” right? I hear it all the time. Facebook feeds become clogged with Monday rants. I’m right there with you; who wants to abandon the weekend for work? My perspective changed this morning. Today, my Monday and the way I am able to live it, is a blessing. The way I want to and CAN live this Monday is my blessing. I laid back down and logged into Facebook, while listening to the sweet snores of Frankie beside me. One of the first updates to catch my eye was from one of my high school friends, Brienne. I met Brienne my freshman year. She was a year older, quite popular, an avid cross-country and track runner, and one of the most positive, fun people I had ever met. I got to know Brie even better outside the halls of BHS because I started dating her older brother. During high school, Brie was always uplifting, energetic, positive and on the move. As it happens, once she graduated, I didn’t see much of her, but have enjoyed keeping tabs via Facebook. She now has two gorgeous kids, bravely launched her own Barre studio, and resides in St. Louis. So, why on this “dreadful” Monday did Brie’s post catch my eye? Because her posts in the last two weeks are anything but normal for those of us in our early 30’s. 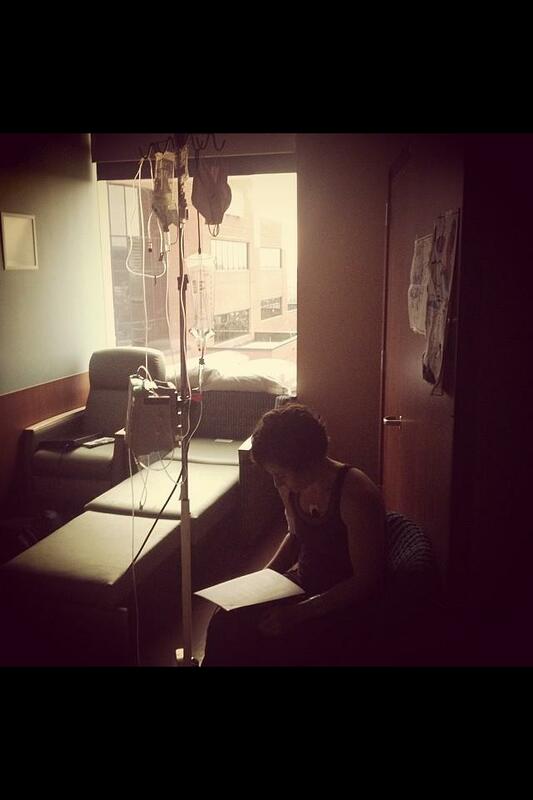 Brie was diagnosed with acute lymphoblastic leukemia and is now residing in Vanderbilt Medical, enduring treatments. How could I not get out of bed and use it to the best of my ability? To appreciate an “ordinary” Monday? To honor Brie by doing so? Money is being raised to help Brie with her kids and her business. Our friend Anna wrote an awesome post on her blog, The Yellow Table (highly recommend following if you’re a foodie). You call also donate directly to the GoFundMe site. And to read more about Brie, her awesome personality is shining through on her CaringBridge site, CancersDumb. So, that’s what I did. I urge you to do the same. Honor today. Honor your body. Honor your relationships near and far. 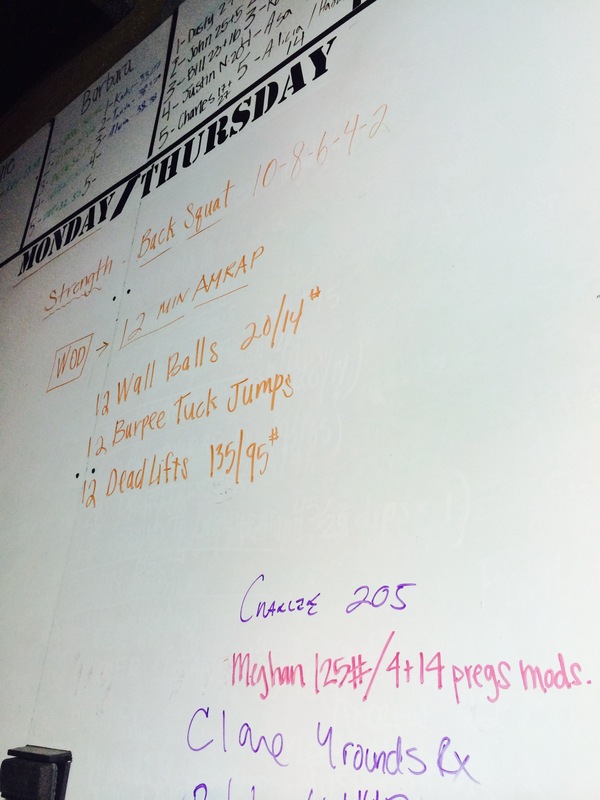 Posted on March 31, 2014 by crossfitpregs. This entry was posted in CrossFit and tagged Cancer and CrossFit, cancersdumb, CrossFit, CrossFit Mom, CrossFitting, granolaforbrie, pregnancy, The Yellow Table, WOD. Bookmark the permalink.